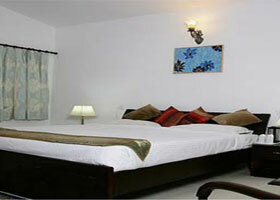 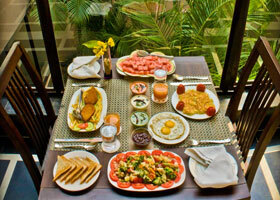 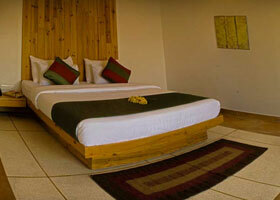 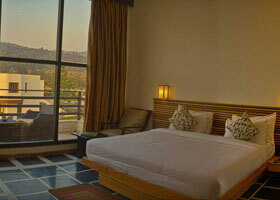 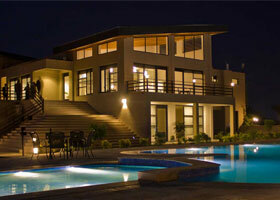 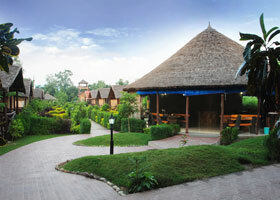 Jungle Paradise Retreat Corbett is a beautifully designed 2 star resort. 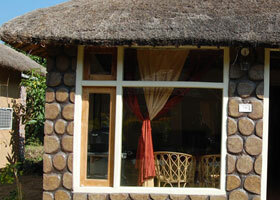 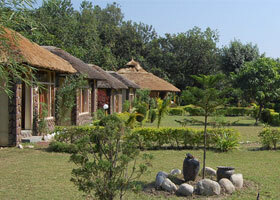 The cottages with ash brown thatched roofs blend it with the surroundings of the Corbett National Park. 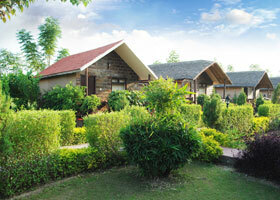 Each cottage of the resort is built individually, independent of the other cottages and is beautifully laid facing the green lawns. 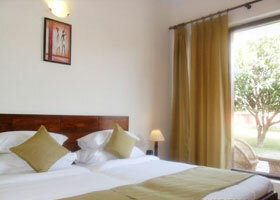 This retreat is perched by picturesque hills and wild mango grove forests providing astute luxury and comfort in the wilderness. 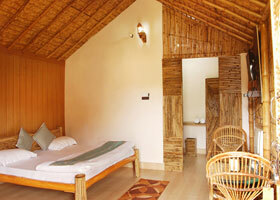 The corbett view resort offers you an stay in ac & mud hut cottages with thatched roofs in remote village of Dhela on the southern periphery of the Corbett a stay in the wilderness close to protected areas and nature reserves. 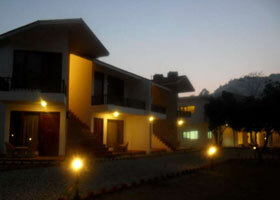 Spread in over 12 bigha of land our resort in Corbett which is surrounded by electrified fencing for your safety is a dense island of wild trees & plant growing naturally with cottages placed haphazardly all over. 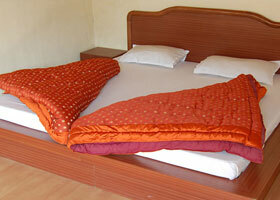 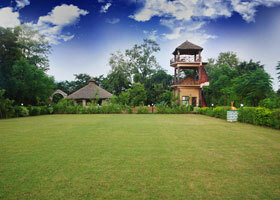 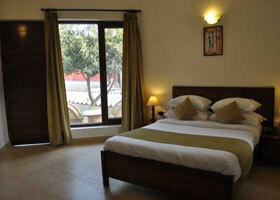 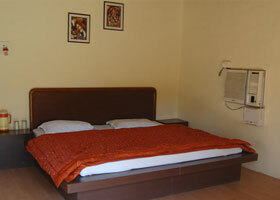 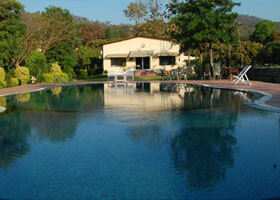 The Jukaso Manumaharani resort is situated right in the heart of Corbett. 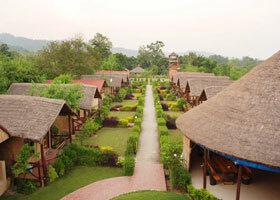 It is an adventure spot where one can dream of having fun and escape the hustle and bustle of the city amidst the greenery all around. 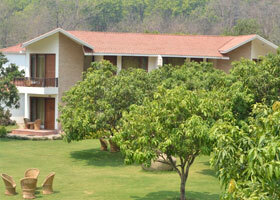 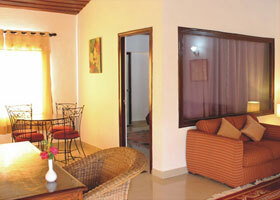 11 acres of garden area have been landscaped at different levels to offer a feeling of tranquillity. 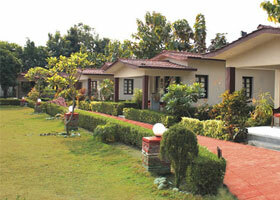 Sit & stroll at leisure in the gardens overlooking the clear waters of River Kosi, flanked by cliffs and forest.